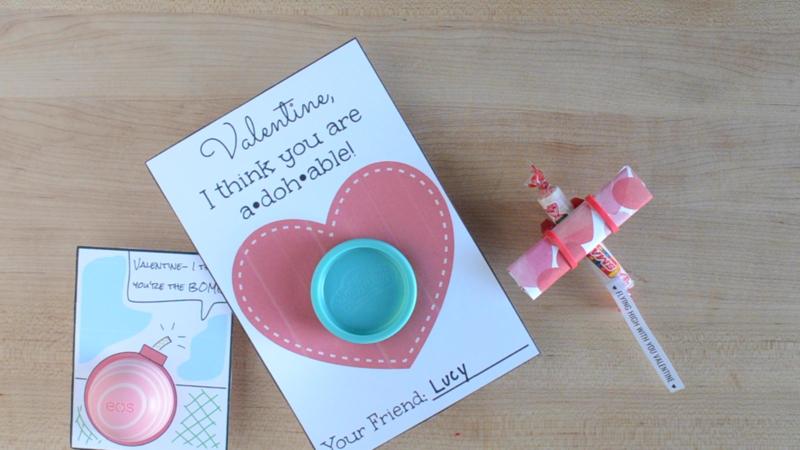 Your child will be the talk of the classroom with these simple Valentine ideas! Click here for the Play-Doh Valentine card. Print on cardstock. Click here for the You’re the Bomb Valentine card. Print on cardstock.